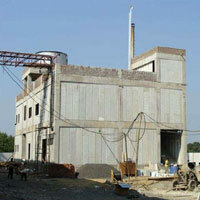 The company provides various models of Water Storage Tanks that are sturdy and reliable. Having acquired the status of the leading Exporter & Supplier of Water Storage Tanks, the company procures tanks of various capacities in several constructions to cater to a variegated demand across the international markets. The Water Storage Tanks are non-reactive and highly affordable.